HideMyAss is not just a VPN provider, it is THE VPN Provider; the company offers a comprehensive VPN client and a large suite of extra services, all in the name of online privacy and anonymity. Their software client is the best available, and this alongside helpful services and competitive pricing makes them a favorite with many. 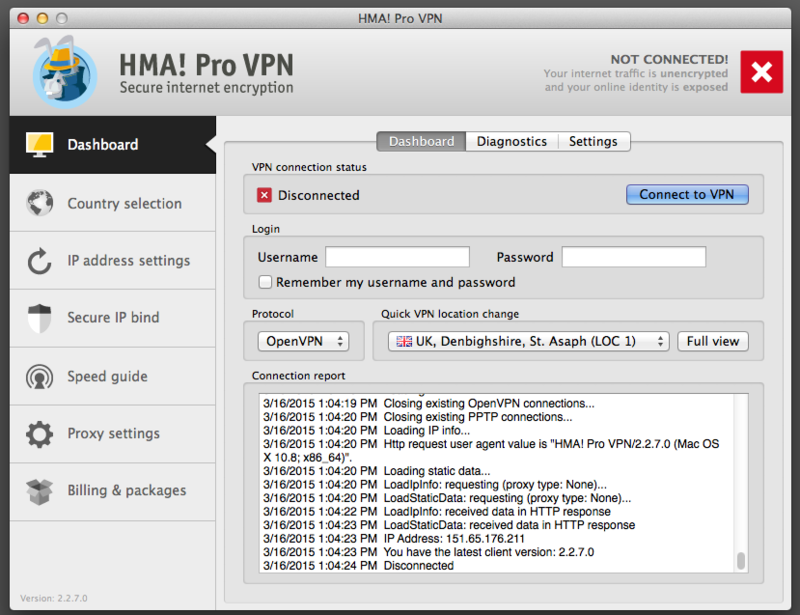 Unlike other VPN providers who confuse with many different service options, HideMyAss offers one main VPN package: HMA Pro VPN. This is currently available for $11.52/month, or you can buy six months for $49.99 ($8.33/m) or 1 year for $78.66 ($6.55/m). HideMyAss’s packages and services are rich in tools and features. There are up to 865 VPN servers available to use in 193 countries, with over 116000 IP addresses, which are all available with HMA Pro VPN. These numbers are growing all the time. 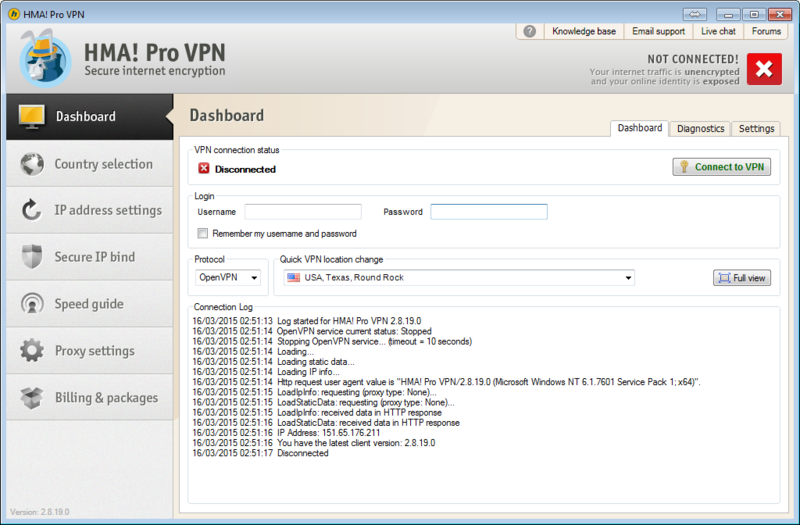 All of the major VPN protocols are available (OpenVPN, L2TP and PPTP) and there are no bandwidth or server switch limitations. HMA works with all major on-demand TV and video websites, you can watch your favorite content from the USA, UK or anywhere else! Full clients are available for Windows and Mac, as well as iOS and Android. There is also support for Linux, but this is currently command-line based and requires some user expertise. The main client offers lots of features for VPN connections, and with the load balance feature you can choose the least loaded server for optimum speed. The client is well laid out and intuitive, and there are lots of free extra tools to improve the experience and make your VPN activities more controllable, including anonymous email, privacy software and a secure file uploader. As evident from their features, the ultimate advantage to HideMyAss is choice. While HMA does not offer any free trials, there is a 30-day money back guarantee to help new users understand whether this service is the right one for them. Customer support is up there with the best, with the company promising to answer all emails within 24 hours (though response is usually much quicker). Live chat is also available and the user area offers lots of advice and tutorials to help users solve problems and get the most out of their services. There’s plenty to like and very little to dislike with HideMyAss. Performance can suffer at times, but it is easy to remedy this problem by switching to a new VPN server or a new protocol. What we do not like is the fact that HMA are not very forthcoming with their logging and data retention policy, and as a UK company they must adhere to legal requirements.